My newborn son has me thinking about the future. Build your career by fostering a robust, supportive and diverse community of stakeholders who invest in your success, and for whom you provide something in return. What is the definition of “community” in today’s arts world? When I say “community” I mean a network of interdependence between an artist and all of the various stakeholders that are invested both financially and otherwise in the success of his or her work, but most importantly, the artist is also invested in their success. “Community” is an amorphous word, and I chose it intentionally. A community can form around anything that a group of people have in common: geography or artistic medium or style for instance. A community must also be broad and deep at the same time, by which I mean it should include artists in your field at a range of levels of experience, and professionals who provide important services, like publicists, venue or gallery owners, and journalists, for example. But it helps to look beyond the obvious. Maybe you know someone who makes a mean cupcake. You could consider inviting this person to donate or sell you some cupcakes for your next event. (I love me some cupcakes.) Cupcakes may not be your style, but this is a good example of a relationship that could potentially enhance your work, and also give your friend an opportunity to sell some cupcakes. Look beyond the obvious when you consider who is in your community and who is not. However, its important to keep in mind that you’ll never please everyone. As a result, everyone’s community will be different, and no one should strive to build the same thing as another artist, it must grow in a way that’s natural to each individual. The Prime Directive: Build a future where you need others, and they need you. I have just had the good fortune of watching the birth of my son. 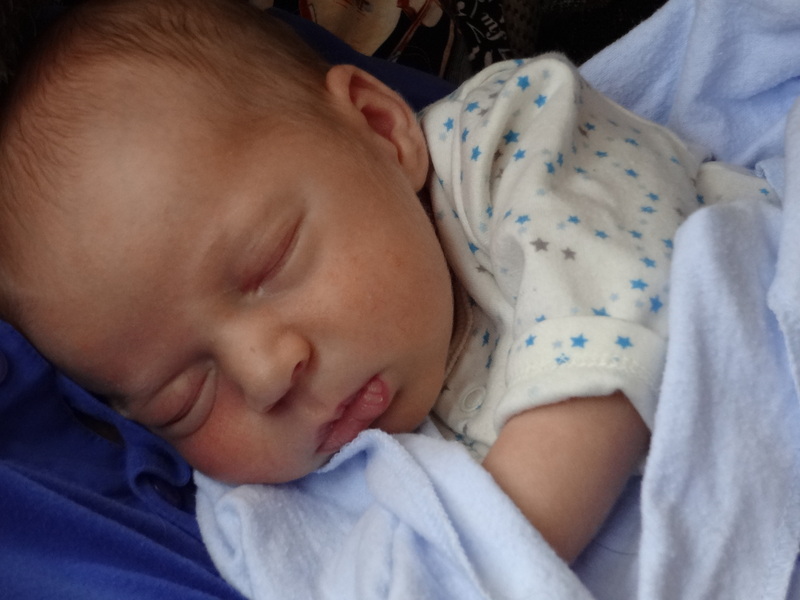 Just three weeks old as I write this, he’s a (mostly) contented and healthy little guy who will change my life forever, and I couldn’t be happier. His arrival gives new meaning to everything that I do, and that gets me thinking about the future. At this stage in his life, he is completely dependent on others for his every need. He couldn’t survive without other people in his life to help him, but even though he will eventually take care of his own basic needs, he will never outgrow the need for a community of people that love him and care about his success. We sometimes feel like we don’t need anyone else, that we succeed or fail by own own deeds and merits alone, but this is an illusion, and nowhere more so than in the arts. There is no issue of reciprocity with your own child. You would do anything for him, and there is no way he could even begin to repay you. With a community of stakeholders, however, reciprocity is a vital part of the picture. The key to building a community is this idea of interdependence, where you provide something in return. So, when you are looking for new opportunities, new audiences, or new advocates, your first question should be “how can I help you?” rather than “what can you can do to help me?” For an artist, this can mean things of economic value, like bringing an audience to a venue, but it can also mean things of intangible but significant value, like offering advice to a younger artist in your field. If you are working with the right people, they will be thinking in the same way. Of the three measures of community that I have mentioned, this one is perhaps the most difficult to describe, and perhaps that most difficult to measure. By robust, I mean that you should build relationships which you can be confident will survive setbacks, changes of plans, and disagreements. If you want to build a life in the arts, then you need people that will stay with you in the long term, and the best way to do this is to follow the general rule of ensuring their success just as you secure your own. You won’t be close friends with everyone, but you should always treat them with respect and expect the same in return. I heard the great jazz trumpet player Ron Miles offer this advice: “play with people who like how you play.” I was struck by the simplicity of this because it seems so obvious, but for many of us, it still needs to be said. Artists might try to break this rule, to work with people who don’t actually respect their work in order to try to achieve greater fame, but I have found that this is a big waste of time. Look for people who like what you do and work with them. Yo Yo Ma gave a great talk where he compared the “edge effect” in ecology, where the meeting points between two different types of ecosystems yield greater diversity than either ecosystem alone. Greater diversity means a more inclusive and vibrant culture, and this means better art. As you build a network of relationships that will help you do your work, it is incredibly important to actively seek out people who do not share the same background as you. Seek out artists from other disciplines, non-arts business people, community leaders and activists, and others who are looking to build relationships with anyone who is interested in creating a more vibrant world. Perhaps even more important than seeking out people who think different from you is seeking out people who look different from you. We often feel most comfortable working with people with whom we have a lot in common, but we shouldn’t let this tendency keep us from crossing the lines of gender, race/ethnicity, and socioeconomics. The entrenched systems of racism and sexism in American culture are still present, and if we work to dismantle them in our professional lives as well as our personal lives, we will all benefit. A shift in perspective that could change your life and work. This isn’t a new idea. In fact, most everyone I know is already doing it. But if you have struggled with the idea of “self-promoting,” then shifting instead to “community building” has the potential to revolutionize your arts practice. This is a better way forward for artists because it allows us to do our work without burning out, thanks to a broader network of support when times are tough. But most importantly, it will create more opportunity for your work than you could if you were simply “self-promoting.” Strengthening your community will help you do better work, be more fairly compensated for it, and most importantly, live a happier, more successful life as an artist. Good luck! _____ A goal of this blog from here on out will be to provide concrete examples of how artists have applied these principles in their own lives. But for now, I’m much more focused on the values behind promoting our work. I struggle to do anything that I don’t really believe in, and promoting my work has fallen into that category for many years. But, as I gradually shifted my perspective to the one I describe here, I found it a much more rewarding process.This post is really just an introduction to this topic — I plan on following up with some more in-depth thought about some of the ideas here, but this essay should help to start you thinking! Please feel free to leave comments or to email me at douglasdetrick at gmail dot com. Really enjoying your posts–looking forward to the next! Doug is spot on with his essay. In every place that I have worked, I have found dynamic creative music communities developed and sustained by small groups of musicians. I my view, interdependence between small groups of artists kindles the most interesting, creative outcomes. So, to reiterate Doug’s final point, relying on an interdependance with other artists will not only move you into an enriching approach to a music career, I bet you will be excited by the music you make there as well. Thanks Ben! I like that you said the communities are “developed and sustained” because it really does take attention and serious effort. All your work with the Hartford Phase Shift Series is exactly the kind of thing I’m talking about, and I’m sure that you reaped plenty of rewards yourself, even as you provided opportunity for others. Good luck with your move to Minnesota! Great blog! Well put.. inspiring.. and that Ron Miles quote is a great reminder. Thanks! Wonderful read! Very inspiring and a point of view I wish so many others would live each day! !